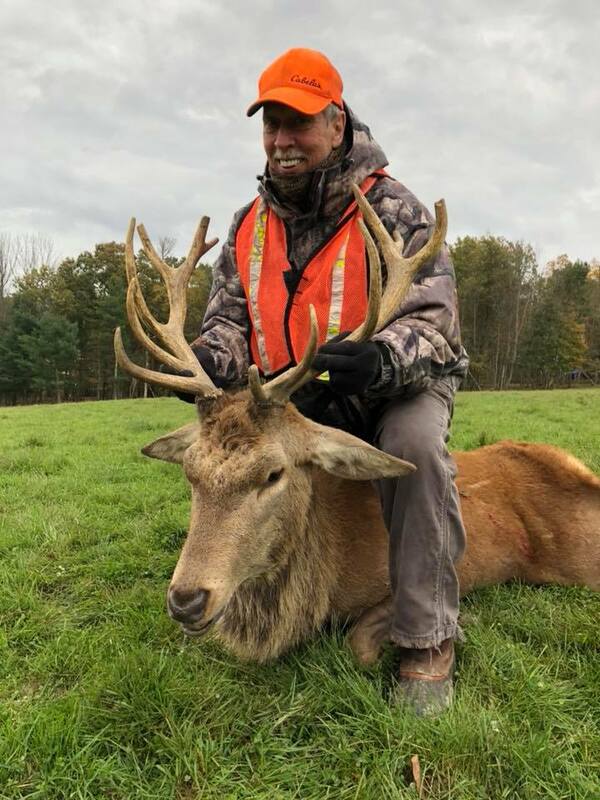 The Red Stag is the masterpiece prize of North American deer and one of the most exhilarating experiences for woodland hunters. 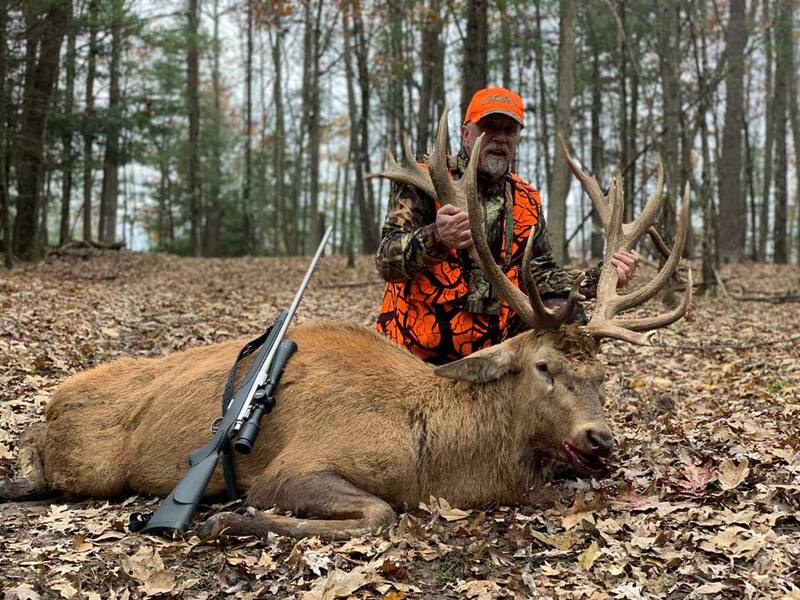 Their giant, flaring antlers are among the most impressive trophies in the world and make a distinguished focal point in any avid hunter’s collection. 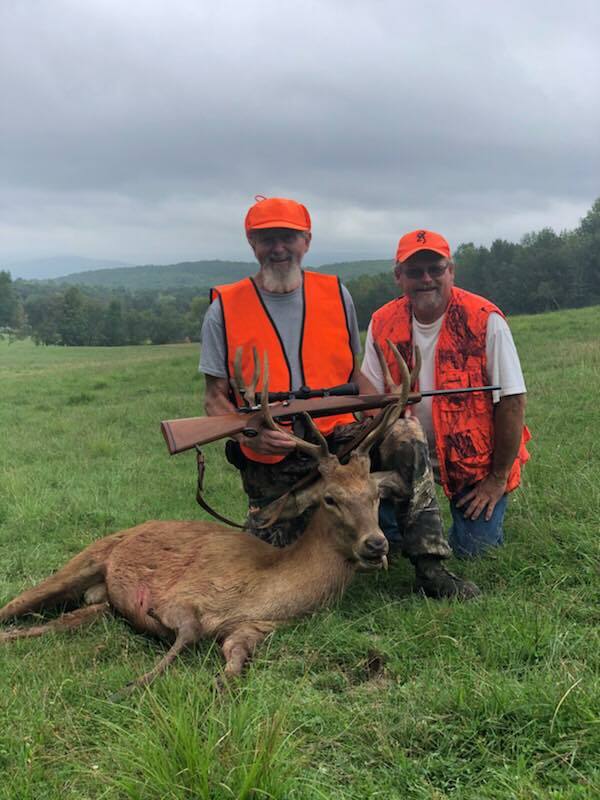 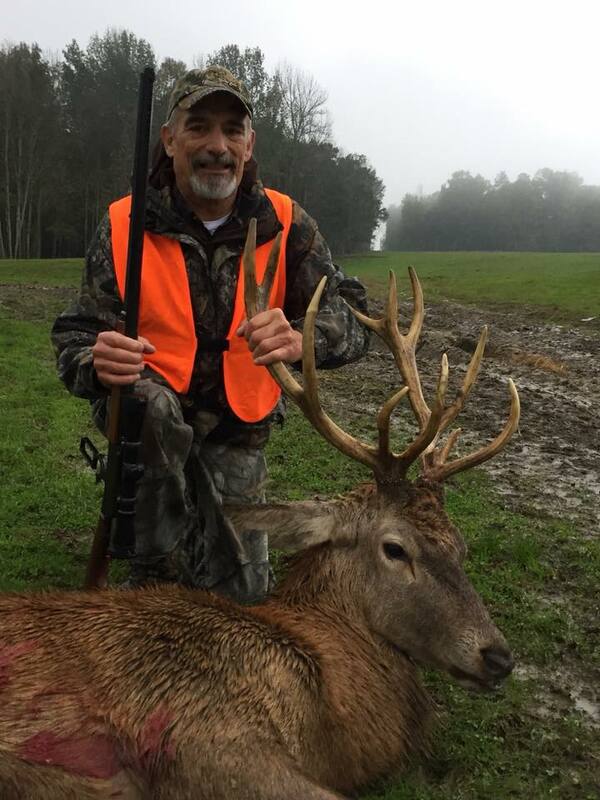 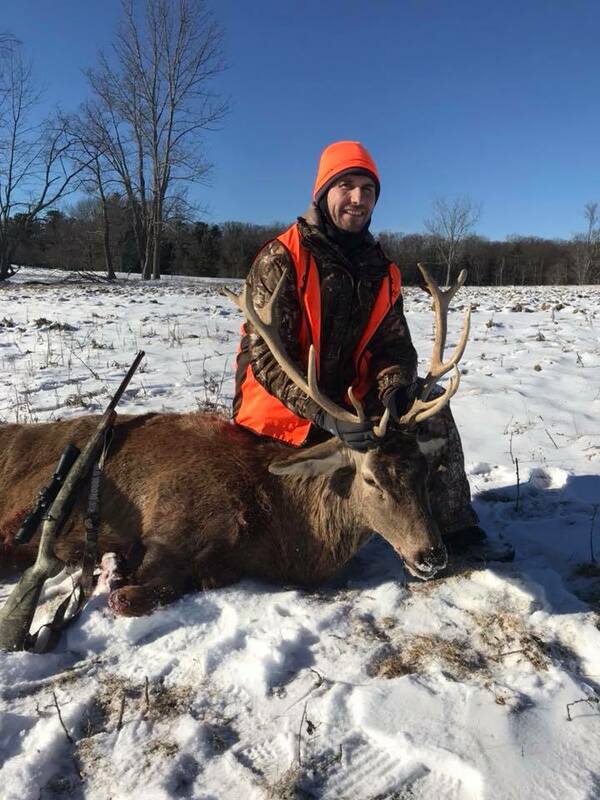 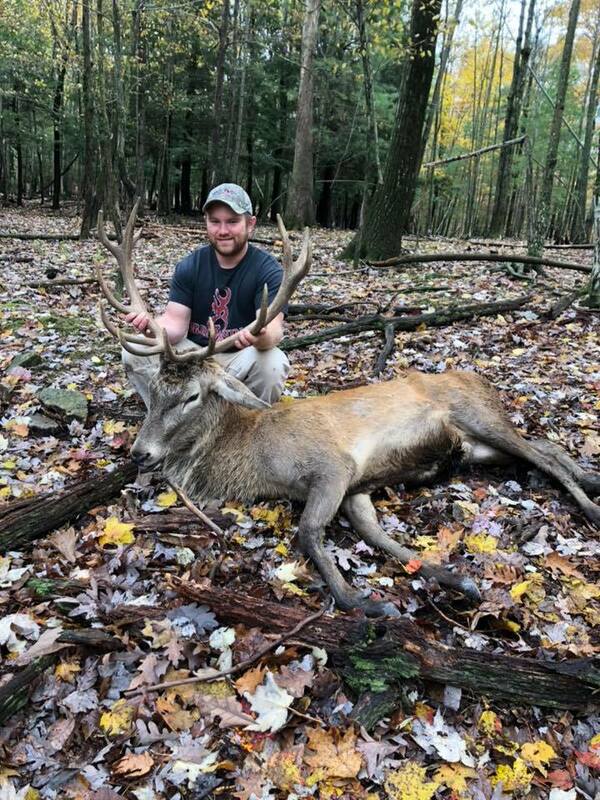 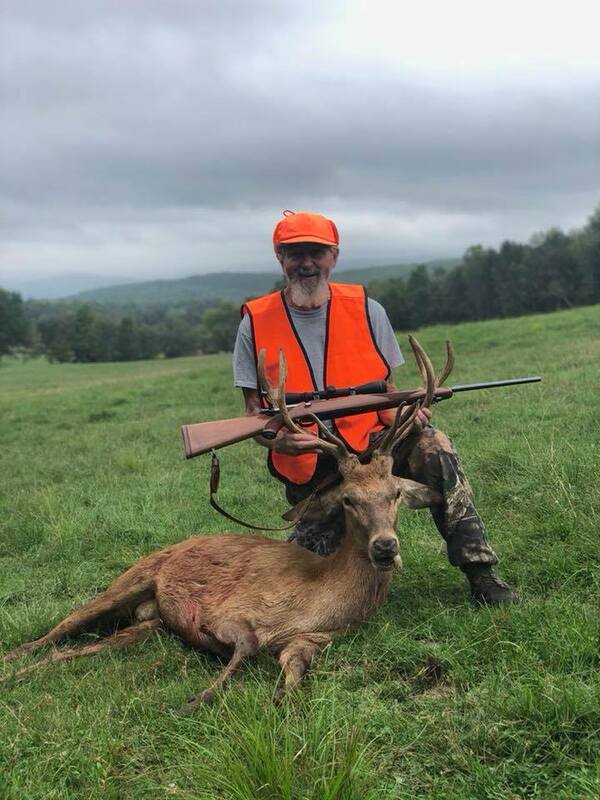 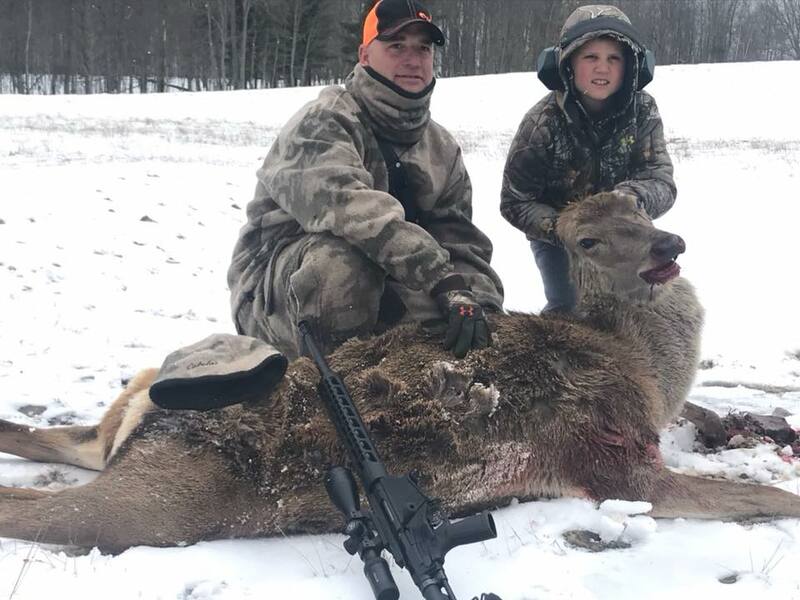 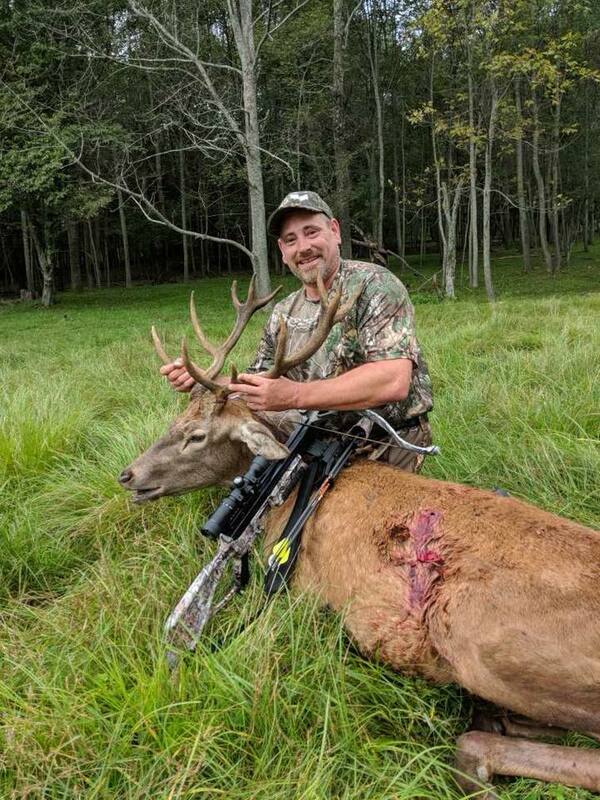 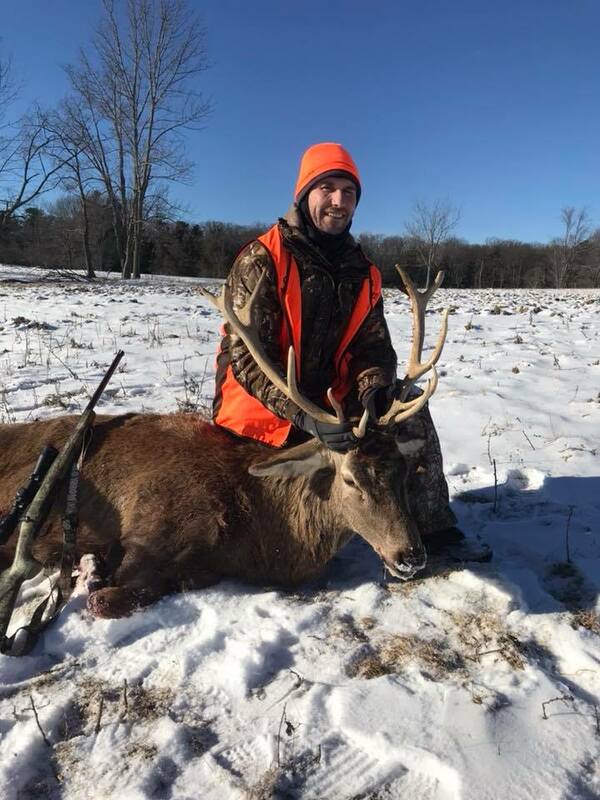 Countless generations of European Red Stags have inhabited the Tioga hunting preserve and hunters from all across North America come to claim their own incredible prize. 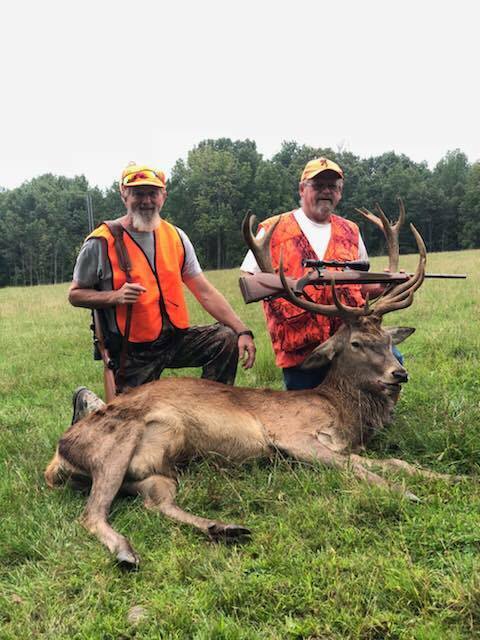 Adult Red Stags showcase a formidable stature, standing up to seven feet tall and weighing an average of 500 lbs. 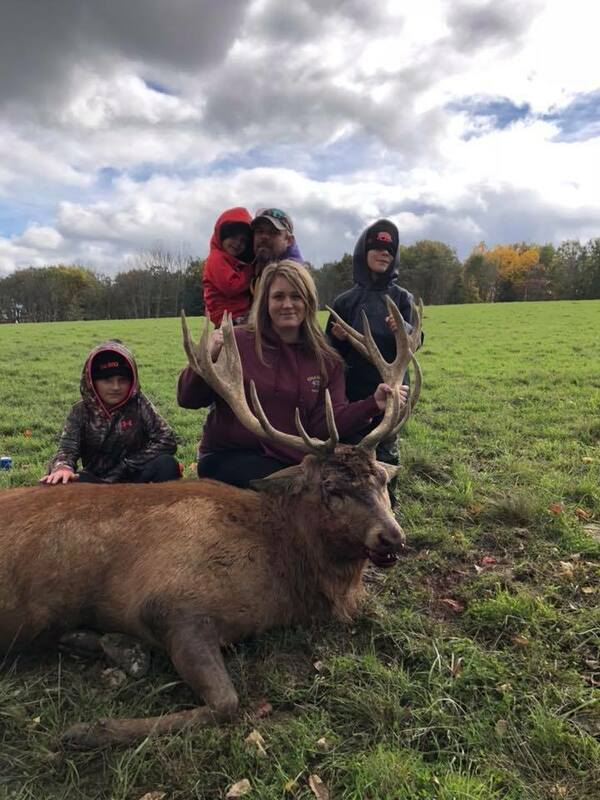 Their iconic, sweeping antlers carry seven points or more, with varying heights, lengths and crowning or cupped shapes. 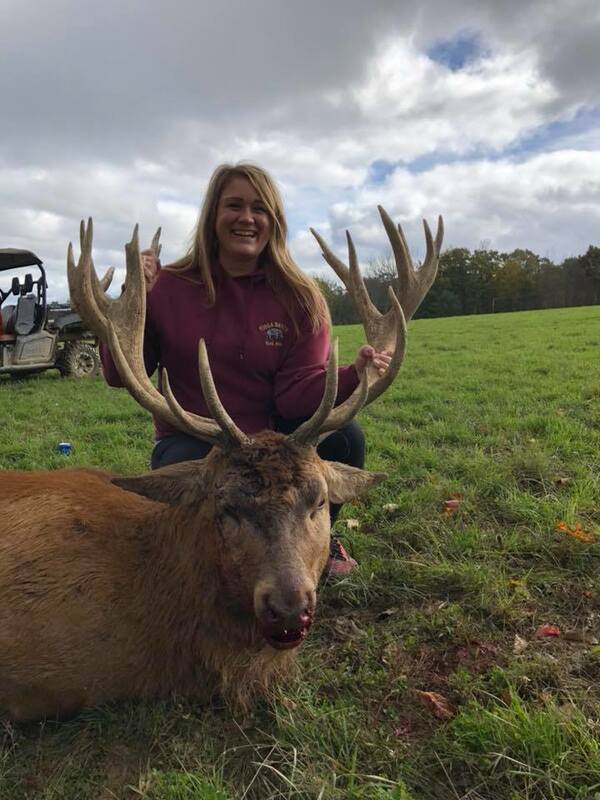 Their large size, second only to elk and moose in North America, powerful antlers and reddish-brown fur make them unique from other deer and one of the most valuable trophies. 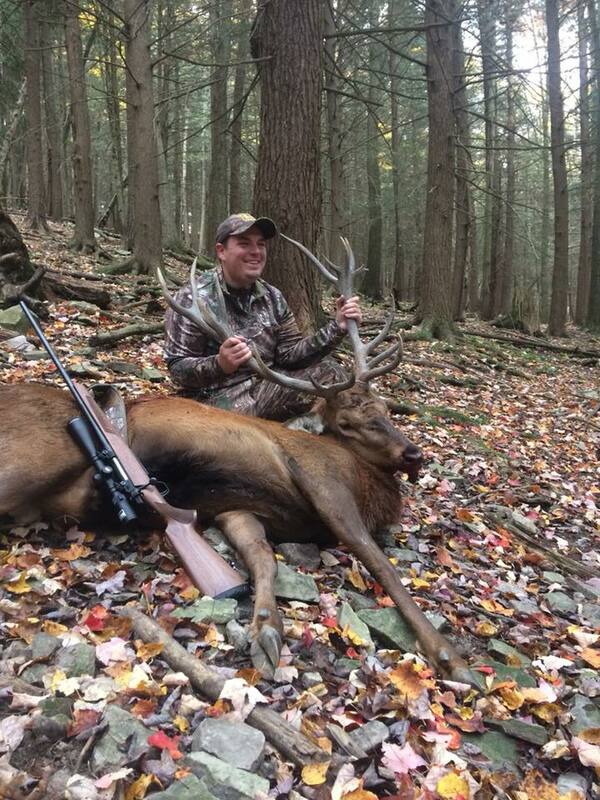 Here at Tioga, we hunt the majority of our Red Deer from mid August to November. 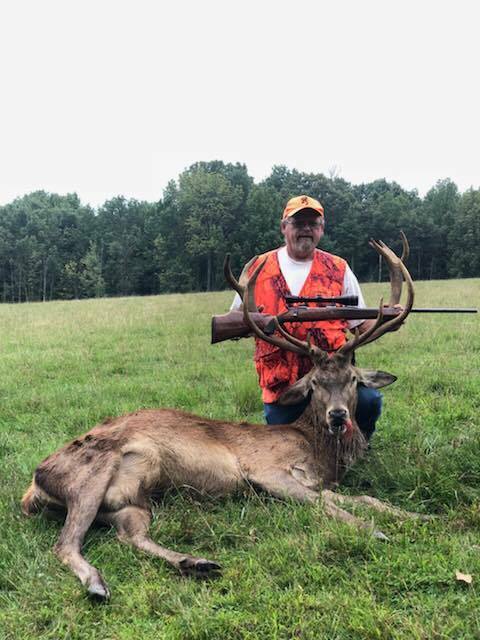 The most popular time of the year would be from the middle of September to the middle of October. 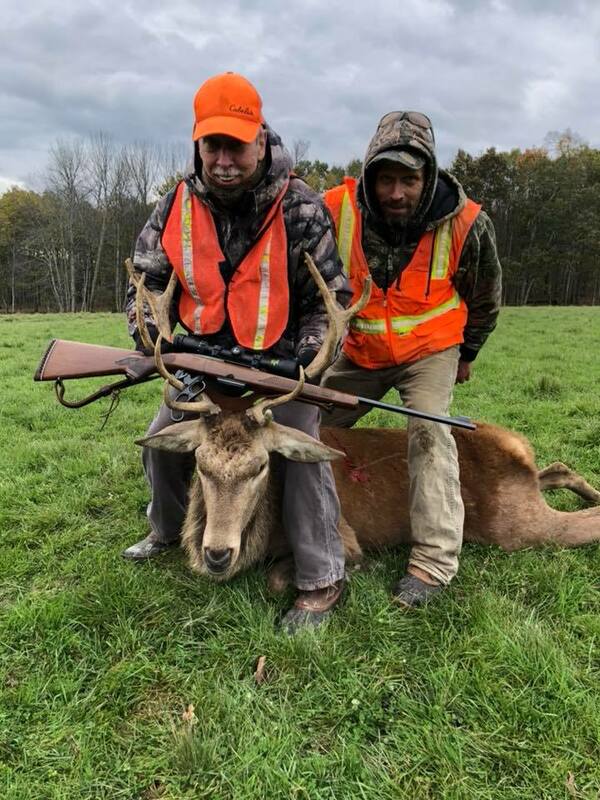 Tioga Ranch provides guided red stag hunts to bring you to the most frequented grounds for red deer. 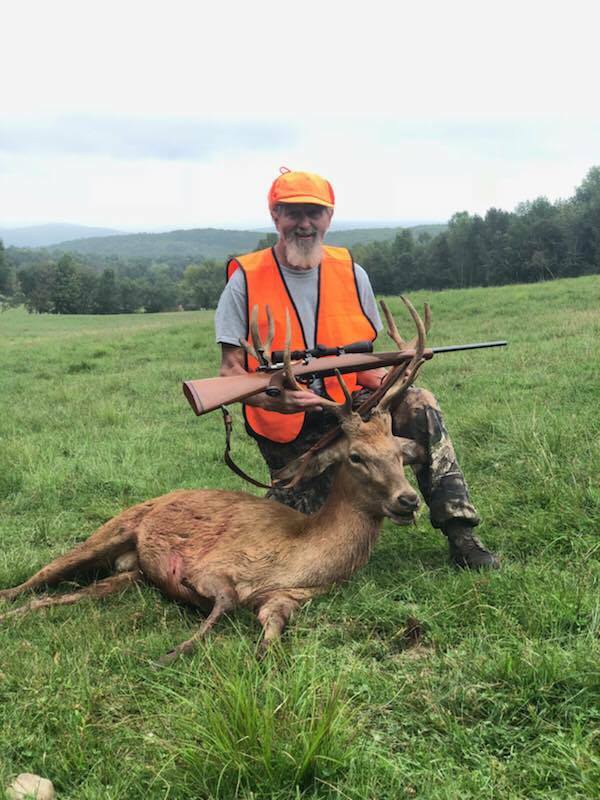 Schedule your hunting trip between August and March to bag your stag and enjoy an exciting hunt. 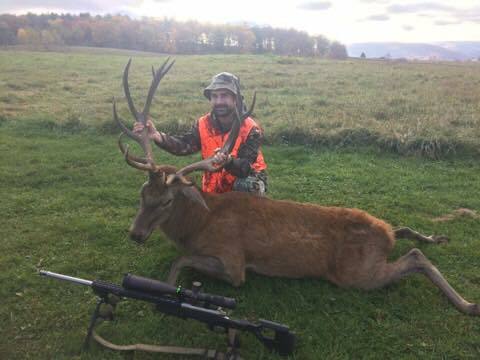 Our Red Stag hunts include 1 night of lodging, meals, skinning, and quartering. 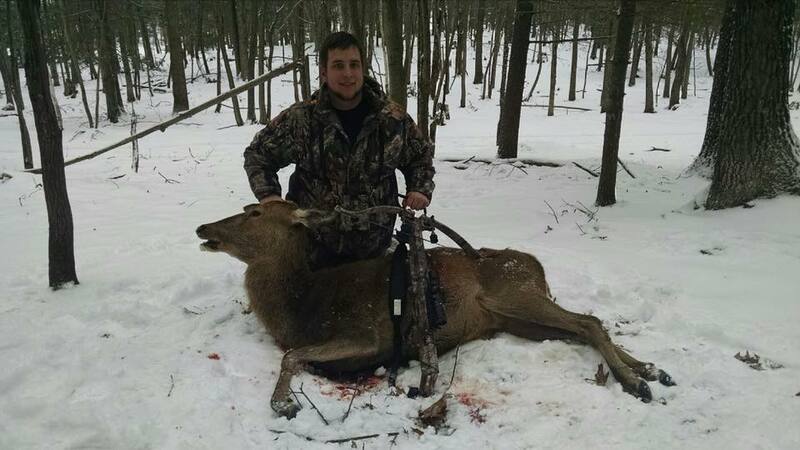 You can add a second night of lodging and meals for $110.00 and Butchering, vacuum sealing, and labeling for $300.00. 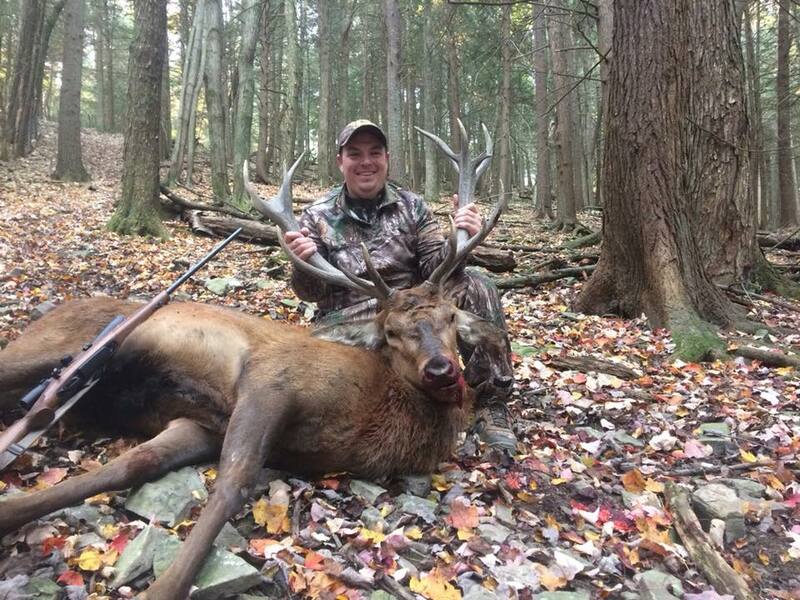 To schedule a hunt, call us at 570-835-5341, a 25% deposit is required to reserve your hunt.